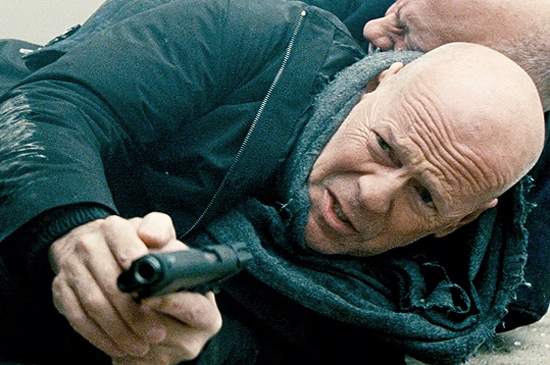 Summit Entertainment Release New Trailer for 'RED 2' Starring Bruce Willis & Anthony Hopkins! Summit Entertainment have released the first trailer for RED 2. The cliche ridden sequel stars Bruce Willis, John Malkovich, Mary-Louise Parker, Anthony Hopkins, Helen Mirren, Catherine Zeta-Jones, Byung Hun Lee, Brian Cox & Neal McDonough. In RED 2, the high-octane action-comedy sequel to the worldwide sleeper hit, retired black-ops CIA agent Frank Moses reunites his unlikely team of elite operatives for a global quest to track down a missing portable nuclear device. To succeed, they'll need to survive an army of relentless assassins, ruthless terrorists & power-crazed government officials, all eager to get their hands on the next-generation weapon. The mission takes Frank & his motley crew to Paris, London and Moscow. Outgunned & outmanned, they have only their cunning wits, their old-school skills, and each other to rely on as they try to save the world-and stay alive in the process. RED 2 hits theatres this July 19th. Hit the jump for the details. I'm reading: Summit Entertainment Release New Trailer for 'RED 2' Starring Bruce Willis & Anthony Hopkins!Tweet this!